Land Rover is an iconic brand in Europe, specifically in the UK – And now this brand will sport a tag of “Made in India,” according to a report in TOI. Tata Motors has done wonders to the sagging fortunes of Land Rover & Jaguar brands after it acquired the company in June 2008 from US carmaker Ford, in the midst of the recession. This is significant news for Indian automobile market and we might very well get to see the newer models of Land Rover such as Freelander 2, at a lower price range. The truck major Tata Motors is expected to assemble the new cheaper model through the completely knocked-down route in India. The said new launches of the locally assembled models from the company’s Pimpri facility near Pune are expected to be rolled-out by July 2011. As per the data, the company has sold 242 units of imported JLR models in India since June last year. JLR already has three showrooms in India. The demand for the premium Jaguar and Land Rover models is said to have high potential in India with rising affluent class working group people. For the early part of the FY 2009-10, many of the markets in which JLR operates experienced a negative GDP growth on the back of lack of demand due to severe global recession. These JLR steps of having an assembly plant outside UK to increase its sourcing from low-cost countries is expectedly triggered on account of reducing input costs and make them competitive in the fast emerging Indian market. The Freelander 2, which is currently produced at Halewood in North England, arrives in the country as fully-built unit attracts over 100% duty, while the same, if assembled in India could bring down duties to 50%. Tata Motors in this case will pass on the cost benefit to consumers (hopefully). Currently the lowest-priced Land Rover model in India, carries an ex-showroom tag of Rs.33.5 lakh in Delhi and 33.3 lakh in Mumbai. One thing that needs to be seen, if this model works successfully – Whether Tata Motors will reduce their workforce / plants in U.K and move production to India. That surely wouldn’t go down too well with Britishers ! In the US, at least to my perception, Made in China is a negative and a perjorative, but Made in India is fine – Americans consider Indians to be very tech savvy. Not quite German Engineering, but a far cry from Made in China. But isn’t it more precisely really assembled in India, and still made in the UK? 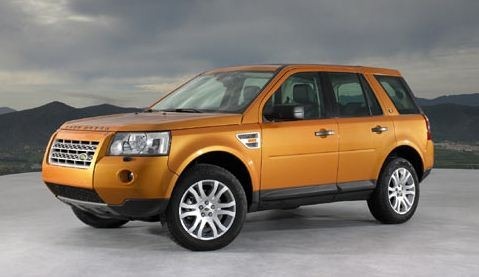 Agreed Freelander… It should not be ‘Made in India’ to be precise, but assembled in India. The parts are expected to be manufactured in the UK. But, take it this way as a simple example – if we source some parts of computers from China and assemble in India, isn’t it a ‘Made in India’ product? Similarly, an car assembled in India would be akin to saying a ‘Made in India’ product, inspite of UK-based parts. Viral – yes, you are correct. Mostly I was just wanting to say that Made in India is not a bad thing in American eyes, but Made in China is. This is unfortunate, but with so many stories in the news of lead in toys made in China and tainted food products from China, China has gotten a very bad rap in the US. India has not. I partially agree with your views. Agreed that ‘Made in India’ brand has little to boast about on the global podium, but then since they (JLR) are Indian brands now why apprehensions is revealing so? More so, the Indian manufacturer (Tata Motors) can take pride from the fact that it has revived the ailing brands despite their precision in quality. If the product is good, it will definitely serve its purpose of being marketed well – And, even if JLR brands are sold under ‘Made in India’ tag, the Britishers or for that matters other global customers won’t refuse to buy it just for that. Anyways, thanks for your comments and contrasting view points. I am not sure if this is a good idea. ‘Made in India’ is not a brand name which indicates a superior brand equity like ‘German Engineering’ . This would be like having Made in China cars as a matter of pride.